As a regular abuser of bleach & heat, I try to look after my hair as much as possible. I normally only wash my hair once a week to stop it from drying out. I had my roots done last Friday and to keep my hair in the best condition I try not to wash my hair for several days before & after any bleaching session. This allows your hair's natural oils to build up & reduce the damage. Going almost two weeks without a shower would be pretty darn gross so I always use shower caps to keep my hair dry when I need to wash my body. Let's be honest, most shower caps are a bit rubbish. I've never liked how they would leave my hair looking frizzy & flat, especially if I'd spent ages blow drying it the day before. So I was really excited to try out a somewhat revolutionary shower cap called Save The Blow Dry. 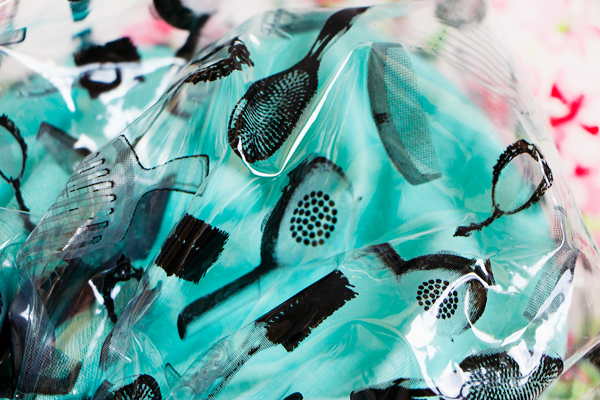 This cute shower cap promises to banish bathroom frizz & keep your hair looking like you've just styled it. Shower caps I've tried in the past were either waterproof or made of towelling but neither were brilliant for my hairdo. 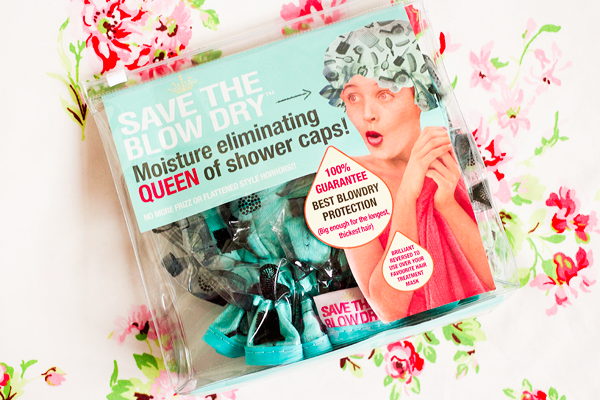 Save The Blow Dry combines both features to create a truly effective shower cap. 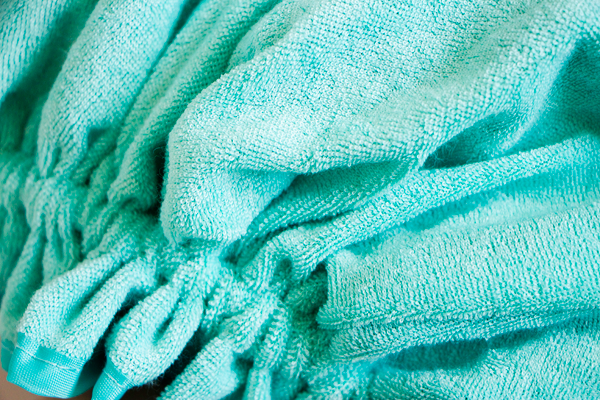 The outer layer is a waterproof plastic cap which repels the water while the internal layer of super-absorbent micro weave towelling zaps humidity & condensation. It's incredibly roomy so even if you've got really long or thick hair, you'll be able to fit it all in. The elastic is comfortable & stops any little strands of hair from escaping. To avoid putting tension on my hair I use a clip to hold the bulk of my hair, then I pop the cap on top & tuck in any loose ends. After showering with this cap on my hair is left feeling perfectly dry & bouncy. It's actually quite amazing as it really does eliminate any trace of moisture. It makes getting ready in the morning super quick as I don't have to fiddle about with my hair for ages afterwards. 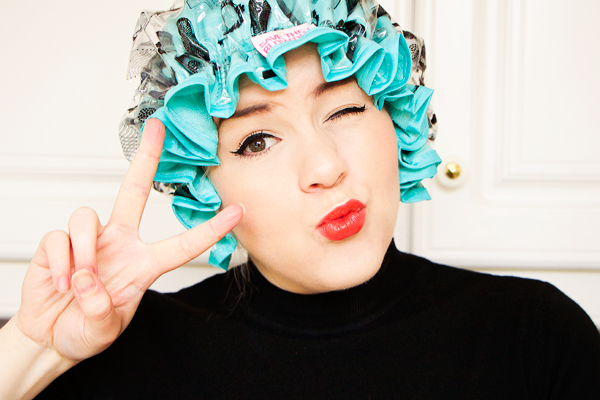 I never thought I'd be singing the praises of a simple shower cap but this is such a fantastic product! This looks fab. I wish I could get away with only washing my hair once a week. Mine would be awful! How do you keep yours looking good? This looks a lot better quality than most shower caps! I only wash my hair once a week normally, although it's a bit dry at the moment so going to start twice a week just so I can do a lot of overnight conditioning treatments. I do really need a shower cap with a towel bit though as my hair absorbs any steam and goes mad!